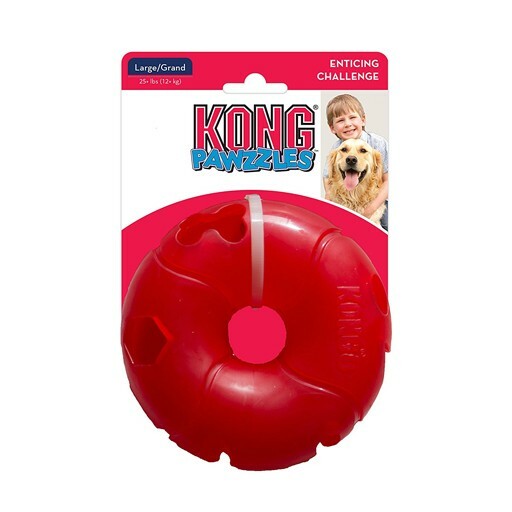 KONG Pawzzles offer the ultimate treat-dispensing challenge for the smartest of pups. The unique shapes offer mental and physical stimulation while fulfilling natural foraging instincts resulting in the ultimate of rewards, a KONG Treat. If you want to up the challenge, change the treat size, the larger the treat the greater the difficulty.